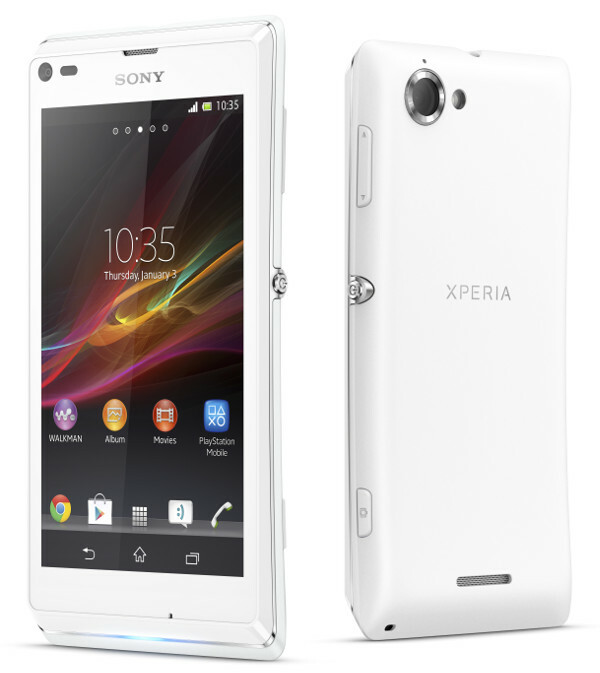 Sony has just introduced the Xperia L, a new entry level member of the Xperia family with nice features onboard. If you are after a lightweight and mid-sized smartphone with a decent camera, you should definitely have a look at this smartphone. The Xperia L features a good 8 Megapixel camera powered by Sony's renowned Exmor RS mobile sensor and HDR (High Dynamic Range) technology for good shoots in almost any light condition. 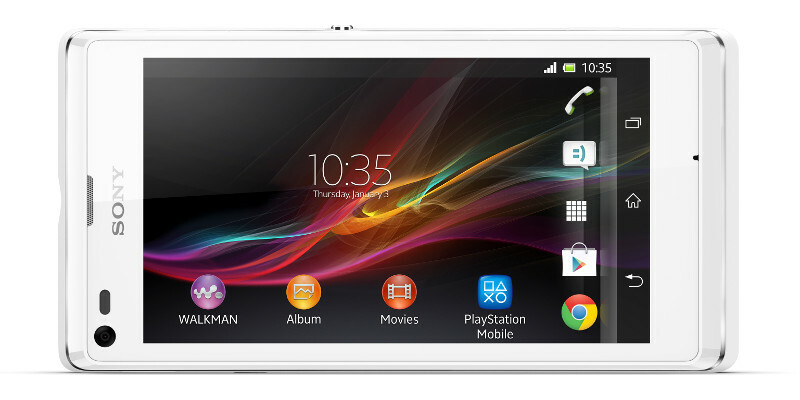 The new Xperia L is also sytlish and fits well in your hand. The display on the Xperia L has an average FWVGA resolution of 854 x 480 pixels but because of the screen size of 4.3", stills and movies appear sharp to your eyes without making the handset bulky. Image contrast and color depth is above average, leveraging Sony's experience in manufacturing premium TV sets. Despite not being an AMOLED display, blacks look black and the screen is of very good quality on this price segment. In addition, the whole display has a scratch resistant layer that protects the device from daily use (I don't think it's Gorilla glass but a Sony made equivalent). The new 8 Megapixel camera sports an Exmor RS mobile sensor that puts the Xperia L on par with dedicated digital cameras in regards to image quality. The RS is an evolution of Sony's ubiquitous Exmor, with an enhanced background light sensor that automatically corrects luminance and colour noise reduction. The resulting stills are very detailed for an 8 Megapixel sensor, with low noise levels even in extreme light conditions. Morevover, the sensor is also pretty fast, allowing to wake your phone from sleep and take a photo in under a second. But the camera sensor brings us yet another surprise that has never been seen before in a handset of this price: it features Sony's HDR (Hight Dynamic Range). HDR is an imaging technology that deals with photos shot on strong backlight by taking a series of photos at different exposure levels and then combining all the layers in one optimised image. Sharing your photos and videos with your friends is very easy too. The Xperia L features NFC Radio for one touch sharing of media files with other NFC compatible Xperia devices, just by putting the two devices together (back to back). It is also possible to display your Photo Album in a Sony Bravia compatible TV by simply approaching your smartphone next to the remote control of your TV set to activate screen mirroring. A part from sharing your memories, the NFC chip will also allow you to switch the device into configurable profiles (by use of NFC tags) and make contactless payments whenever this technology takes off. This smartphone is powered by a dual core 1Ghz Qualcomm CPU and runs on Android 4.1 (Jelly Bean). The operation is generally quite smooth with no slowdowns or hiccups oberserved except for the most demanding applications (such as 3D games). 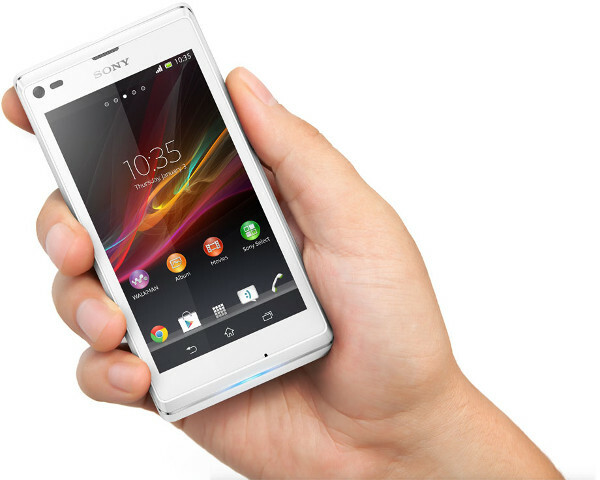 Sony has equipped the Xperia L with a generous 1750 mAh removable! battery that keeps your phone running for a whole day with no worries. In regards to design, the svelte (and slightly curved) body has an illumination LED at the bottom that is discreetly included in the smartphone frame and notifies you of everything: from incoming calls and text messages to social notifications and events. The led color changes to mimic the theme of your smartphone and when listening to music, the light will pulse to the beat. This is similar to the notification bar introduced with the Xperia S and very much like the one shown in the Xperia J. 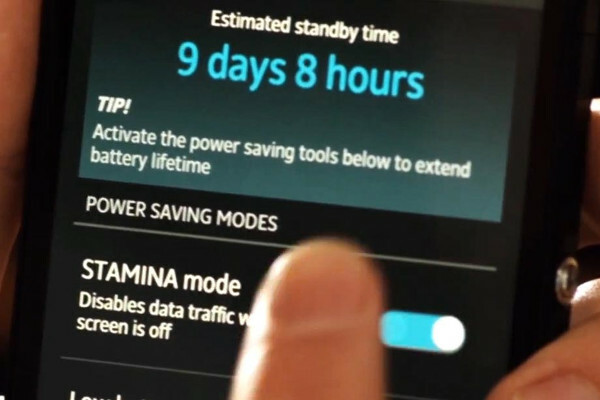 Least but not last, the Xperia L features the new STAMINA mode from Sony that saves a lot of power when in standby. The battery STAMINA mode saves you lots of juice by recognising when your display is off and turning off the applications and functions you don’t need; while keeping the notifications you want. As soon as you wake up your Xperia L, everything is up and running again. I wonder why this feature is not an stock Android setting as it has proven surprisingly effective. The Xperia L will be available in black, white and red and should arrive to the stores in April at an RRP of 299 EUR (taxes included). Some online retailers are already taking pre-orders at 279 EUR and my guess is that price will shrink to about 250 EUR by the Xmas season, when the Xperia L will completely replaces the Xperia J in Sony's portfolio. Photo: Sony Xperia L photos shot by Sony Mobile.